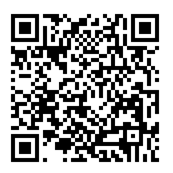 In case you were wondering how to pronounce the title of this post, it’s “thoo-errs“. It rhymes with “Dewar’s“. During the rise of the “institution” in the 1900s, Taylorism produced the segregated thinkers/doers model of operation (as shown on the left in the figure below) in order to get things done. Most doers were uneducated and assumed to be lazy/unmotivated barbarians.The “superior” thinkers created the framework of how/what/when work was done; hired some doers; tightly monitored and controlled the process of production. Relative to the institution-less past, the segregated Thinkers/Doers modus of operandi was an improvement. 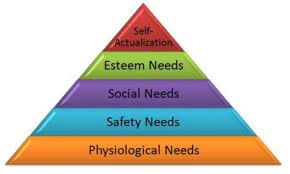 Via an exchange of pay for work done, institutions provided the means for doers to satisfy Maslow‘s level one/two physiological needs for themselves and their families. The vast majority of institutions today still operate in accordance with (a milder and veiled form of) Taylor’s segregated thinker-doer model. 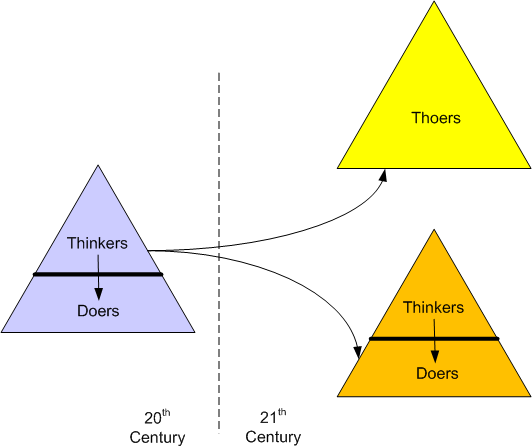 However, there are some gems (Zappos, Morningstar, Semco, Gore, HCL) out there that operate according the “thoer” model – where everyone is both a thinker and a doer. Although they’re hard to ferret out, these gems proactively provide a work environment in which all 5 levels of Maslow’s hierarchy are attainable to all stakeholders within the organization – not just those in the upper echelons.